The inaugural Generations For Peace Institute Forum began today at the organisation’s headquarters in Amman, Jordan. The purpose of this GFPI Forum is to unpack community-based peace-building measures and explain Generations For Peace’s approach. 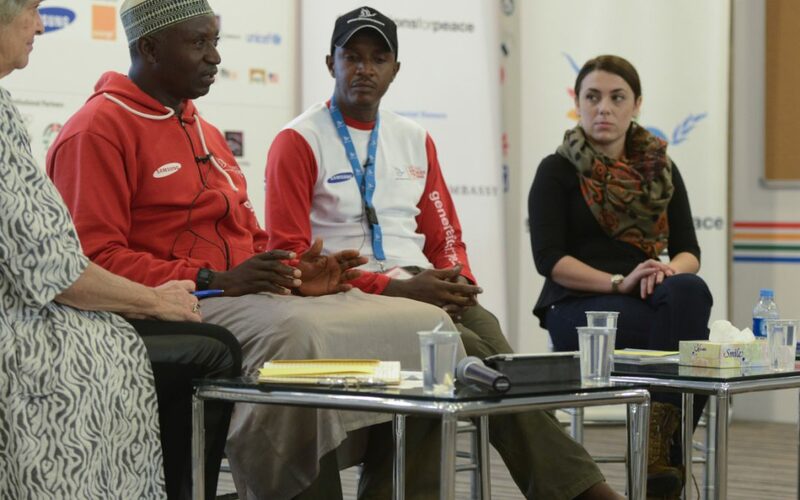 The Forum focuses on how GFP uses sport to transform conflict and build peace. It involves GFP volunteers and practitioners from over 20 different countries, sharing their stories, knowledge, and best practices. It represents a fantastic opportunity to learn about the practical implementation of long-term peace-building programmes from the people on the ground. For today’s Forum blog post we (Research Coordinator Edward Beswick and Research Associate Love Calissendorff) decided to pick some stand out quotes from each session to give you an idea of what was covered. Panel – Does Sport Really Help Build Peace? Stay tuned for the next GFPI Forum post tomorrow and check out our social media channels.